St Anton is often referred to as the skiing capital of Austria. And with its three interconnecting ski areas, St Anton is home to some of the best skiing experiences that Europe has to offer. 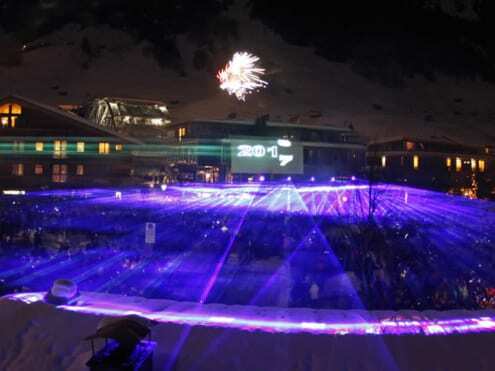 It’s a no-brainer why St Anton is a great choice for your next ski holiday. And one of the most crucial aspects of your ski trip? The accommodation. You want to feel cosy and comfortable after a big day’s ski. If you’re after luxury – we’re talking spas, hot tubs, and stunning interiors – choose one of these stunning luxury ski chalets in St Anton. Occupying one of St Anton’s most enviable locations, Chalet Tschoder is perched on the edge of the piste leading down to the Nasserein lift and benefits from breath-taking views of the surrounding peaks. A sensitive blend of traditional alpine materials with the latest contemporary design ensures that this mountain retreat is cosy yet sophisticated. The chalet has been beautifully finished and offers plenty of space. Luxurious extras include a gym, hot tub and the much sought-after ski in/ski out access that is rare in St Anton. And don’t overlook the spa facilities in this chalet! Ensure tired muscles are soothed so that you’re suitably rejuvenated to face another day on the slopes. Retreat to the terrace for a dip in the outdoor hot tub. Or relax in front of the wood burning fireplace to warm up and truly unwind after a day on the mountains. The perfect combination of chalet and townhouse, Sweet Little Home is joyously vibrant and incredibly stylish. 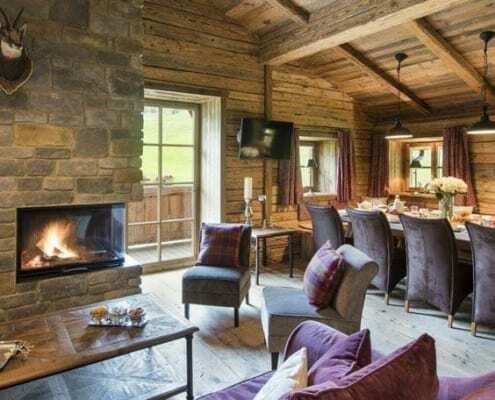 This chalet is well connected within St Anton. It’s situated only five minutes from the lifts and a very short walk to the main high street. This unique property is made up of seven suites for up to 14 guests, so it’s perfect if you have a larger group. Along with that, the lounge with an open fireplace, a second homely living area and an inviting dining room offer plenty of spaces for gathering together. Dating back to 1911, the chalets traditional feel has been preserved with plenty of wood and stone. Mixed with the later additions of designer furniture, bespoke bathrooms and a private outdoor spa, this property is charming. Chalet Griffin’s exclusive and peaceful location in Nasserein is responsible for its spectacular views over the mountain peaks. 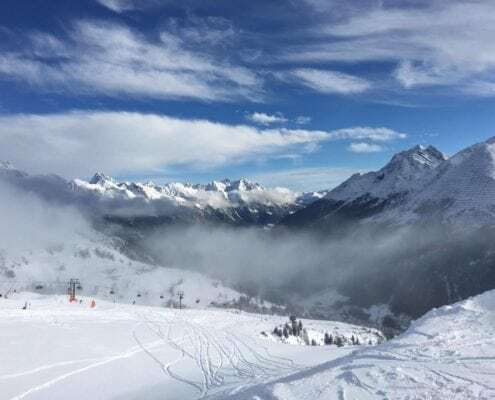 A convenient alpine base, the chalet is only a few minutes’ walk from the Nasserein lift station, Jennewein and Alber ski hire shops and the ski school meeting point. The chalet is laid out over four floors, sleeping up to ten guests in its five well-appointed en suite bedrooms. After an exhilarating day on the slopes of St Anton, guests staying in Chalet Griffin can head to the cinema room to relax in front of a movie. Or retire to the wellness area where a hammam, sauna and relaxation room are located. Part of the Eden Rock building, Chalet Zari is a stunning three bedroom chalet split over two floors. Offering the best of both worlds, this chalet is set in a quiet area but is still close enough to the Nasserein gondola to be whisked up to the extensive Arlberg ski area. Enjoy a wonderful open plan living area complete with log fireplace. Along with 3 cosy bedrooms and a shared wellness area for guests to enjoy and rest aching legs, this Chalet is a great option. Ready to book your luxury ski chalet in St Anton? The Oxford Ski Company is a specialist ski holiday provider with over 20 years of experience and will help you find your perfect luxury ski chalet or hotel around the world. They know which properties have the best locations, the best chefs, the best childcare and which ones offer you something truly special. They believe in removing any stress from the family holiday, offering unparalleled ski chalets and providing experiences that customers will return for time and time again.